International utility, National Grid has selected email delivery and strategy specialist, Striata to provide email billing and transactional email services. The scope of the solution will include the secure delivery of email bills to customers’ inboxes, as well as more than 35 different types of transactional emails; such as bill ready notifications payment due/past due notifications and numerous emails triggered by National Grid’s self-service web portal. National Grid will benefit from significantly improved paper suppression rates, optimized mobile rendering, improved deliverability, increased brand awareness and targeted marketing. Every transactional email sent will adhere to National Grid’s brand identity and digital communication guidelines. Striata’s strategy team will work closely with National Grid on email address gathering, paperless bill adoption, capturing electronic consent where required, content and subject lines. Striata will also ensure every email can be viewed on any device, put measures in place to maximize deliverability and focus all other aspects of best in class email communication. “Email plays a vital role in our communications with customers, so we looked for a full service email company that could provide specialist email billing solutions, and add value to all our transactional emails, including messages triggered via our online portal. Striata will apply its expertise in deliverability, email design and customer engagement to all emails, enabling us to consistently reach out to our customers and drive a better overall customer experience,” says Lee Deibler, Lead Marketing Specialist, Digital Communications, National Grid. “The ability to incorporate marketing offers and other important notices within eBills and transactional communications provides an ideal opportunity for companies to engage with customers where an electronic relationship has already been established,” says Striata. 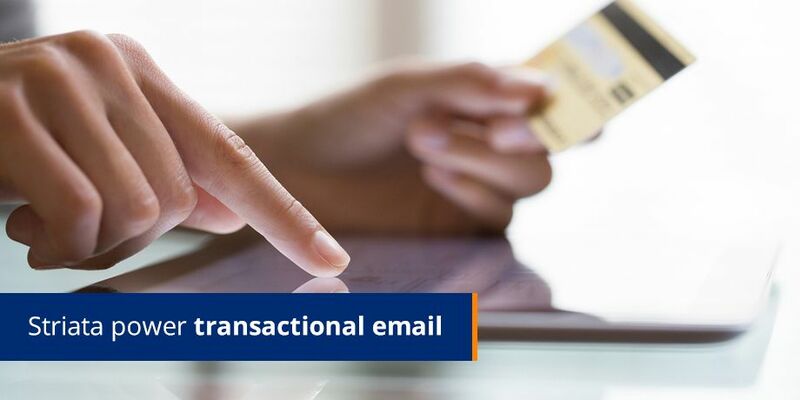 “National Grid has made the decision to leverage the power of email, an extremely powerful and cost effective communication medium by engaging with its customers through transactional email. Typically these emails enjoy the highest open rates because customers are expecting them, so they represent powerful marketing real estate.